There are more than 90 golf courses between Bonita Springs to the North and Marco Island to the South. Naples has long been know as the nation’s top destination for golf and recently ranked fifth on the 10 Best Golf Destinations in the World list, after a vote by USA Today readers. Not only are the sheer number of golf courses factored into why this is a favorite golf destination, but there are many other things to consider. The are nearly 30 courses in the area that have earned Audubon golf course certificates. This is a testament to the commitment these courses have made to keeping the developed land use sustainable and environmentally friendly. It is not uncommon to enjoy the beauty of creators such as the American Bald Eagle while taking in some golf. The lush Bermuda grass not only looks amazing but also promotes medium-to-high ball speed due to its ability to withstand the heat and low mowing. Many of the area golf courses offer attractive terrain with preserves and lakes with wild life. There is also a good amount of focus on maintaining the courses beautifully. One defining characteristic of Naples’ regional golf courses, ponds and lakes beautify the greens while presenting a challenge to the golfer. Naples attracts a number of home owners with substantial financial means. Because of this Naples has as much a reputation for philanthropy as golf. The local courses are privileged to host a number of high-profile charity golf events such as Tiburon's Franklin Templeton Shootout in December. This tournament has been going strong for 30+ years earning the recognition as the longest running post-season tourney sanctioned by the PGA Tour, it benefits CureSearch for Children’s Cancer. Another well known tournament, the Chubb Classic pro-am tournament gives back to the local area in big ways. There is an abundance of talented golf pros, certified golf instructors and renowned programs. A great example of this is at the LaPlaya Beach & Golf Resort’s golf club, the facility includes a double-sided driving range, short-game practice area, and classrooms featuring state-of-the-art swing analysis technology. Tiburon also hosts the Impact Zone Golf Academy, inspired by the teaching philosophy of another famous golf pro, PGA Tour winner Bobby Clampett. There are a number of significant golf stores offering a wide array of equipment and clothing make this a popular place to suit up for your next round of golf. The PGA Superstore features indoor simulated driving ranges and offers lessons, clinics, and seminars for kids and adults. Most golf clubs also have their own pro shops stocked full with the latest fashions and equipment. The region ranks number 1 in the National Golf Foundation’s rankings for golf holes per capita. The 2013 Golf Facilities in the U.S. study counted 1,530 holes. For a population of 324,424, that equates to 212 people per hole. 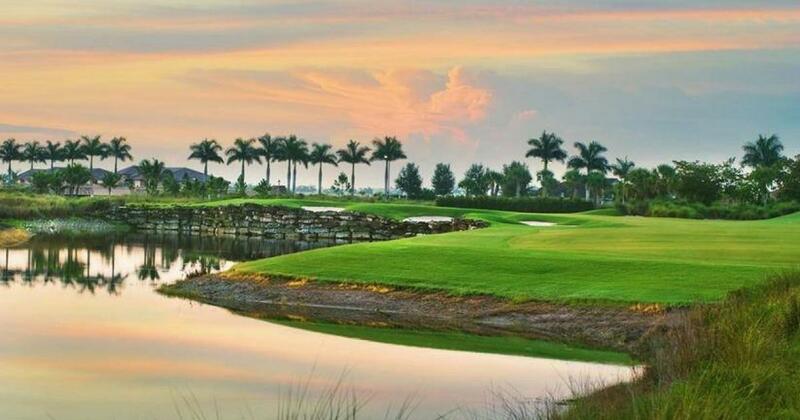 In Naples, there is no "off-season" because our beautiful year-round weather allows you to golf throughout the year. With more than 91 golf courses to choose from in Collier alone, there is more than enough to go around. Many of the courses are membership based but there are some good local public courses like Arrow Head as well. Also, in the summer months, PGA passes are available that allow non-members to sample the courses and get affordable rounds of golf in during this slower season for golfing. For those that are looking for a more intimate and exclusive golf membership, there are some clubs that fit the bill. Calusa Pines Golf Club is the only regional course listed on “100 Greatest Golf Courses in America” by Golf Digest, limits its membership to 275, by invitation only. Likewise, the Country Club of Naples tops off at 290 members. The member-owned club has been in operation since the 1960s. The Junior Golf Performance Academy at Quail Creek Country Club offers long-term and summer-long programs. The First Tee of Naples/Collier provides a number of youth programs that develop core values along with golf skills. There is also an opportunity for the family to enjoy golfing together. Even evening golf if a possibility with the Links of Naples y, which allows "after-hours" golf with stadium lighting at its executive course, which stays open until 11 p.m.